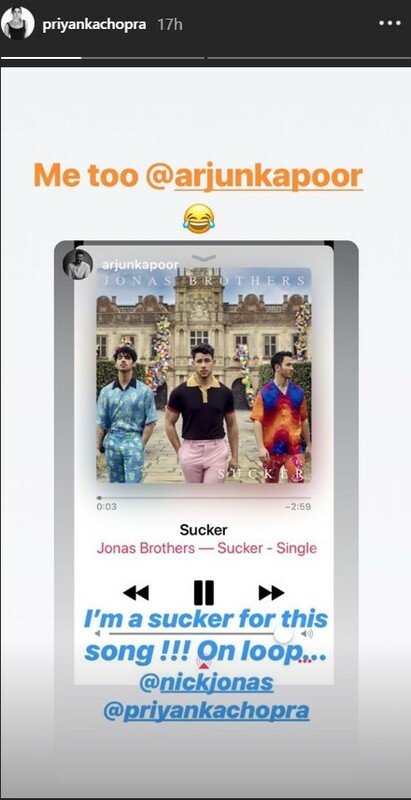 Ever since the Jonas Brothers released their comeback single ‘Sucker’ featuring their better halves, the song has become a chartbuster. In fact, it also made its debut as the No. 1 song on Billboard Hot 100. 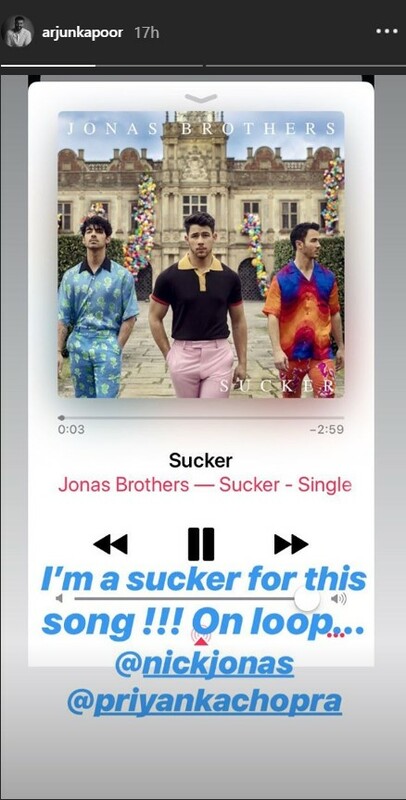 Naturally, wifey Priyanka Chopra is extremely proud of her husband Nick Jonas. The ‘Sucker’ song has been breaking records and recently, ‘Half Girlfriend’ actor Arjun Kapoor expressed his love for this hit single. Interestingly, both Arjun and Priyanka have worked together in ‘Gunday‘ which was directed by Ali Abbas Zafar and also starred Ranveer Singh. They both happen to share a great rapport. Coming back to the Jonas Brothers, they made their comeback after five years and have recently even released their second single ‘Cool’. On the work front, Arjun is gearing up for Ashutosh Gowariker’s period drama ‘Panipat’. Priyanka Chopra recently wrapped up Shonali Bose’s ‘The Sky Is Pink’.